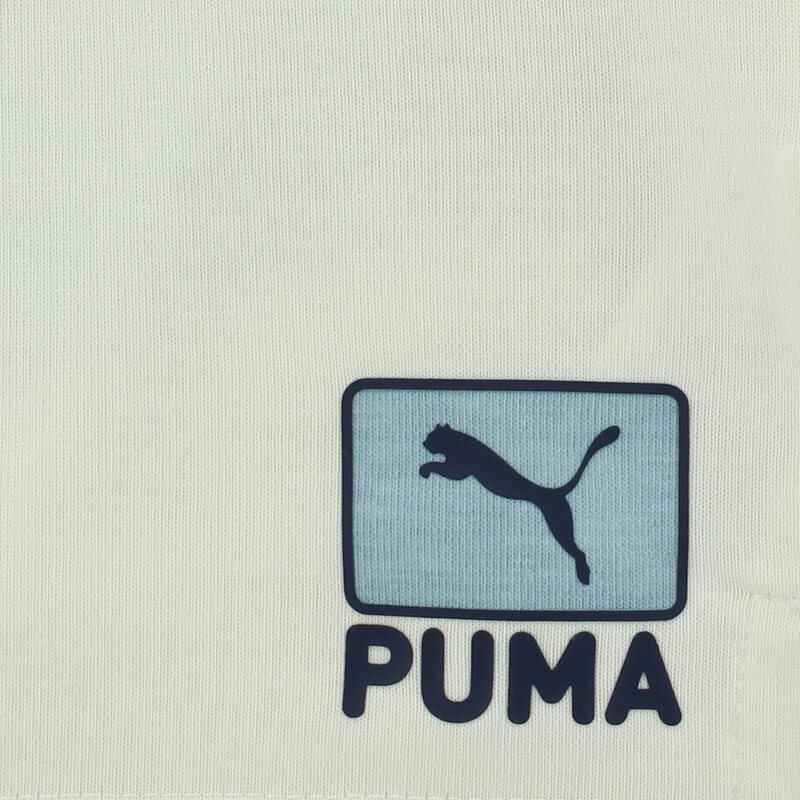 The Puma PipeLine polo is featured as a part of the Play Loose collection. 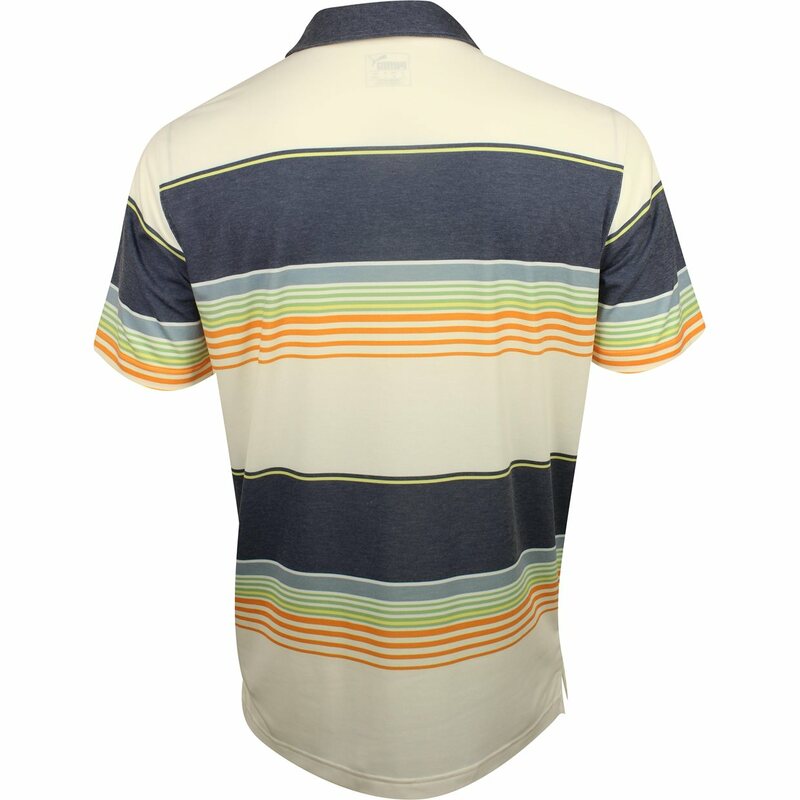 Play Loose is inspired by vintage surf style and pays homage to the mix of pine and palm trees on Kapalua Golf Course in Maui. 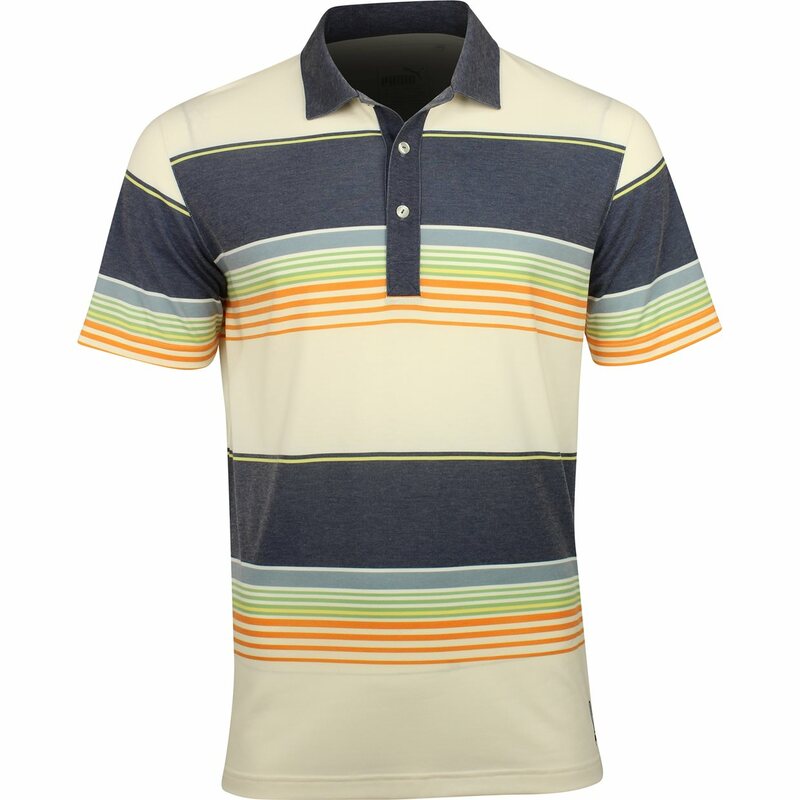 The PipeLine polo is constructed with a combination of materials to bring you the best performance. The Polyester fabrication offers durability for machine washing and resistance against shrinking, mildew and wrinkles. The Cotton attribute allows breathability to help keep the skin dry when sweating occurs and the Elastane provides stretch for a comfortable fit and freedom of movement. 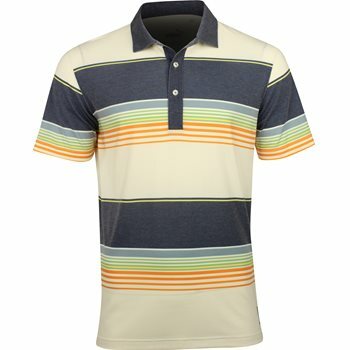 Design details include stripe detailing, a Puma cat patch at the left hem, and a buttoned placket for closure adjustability.